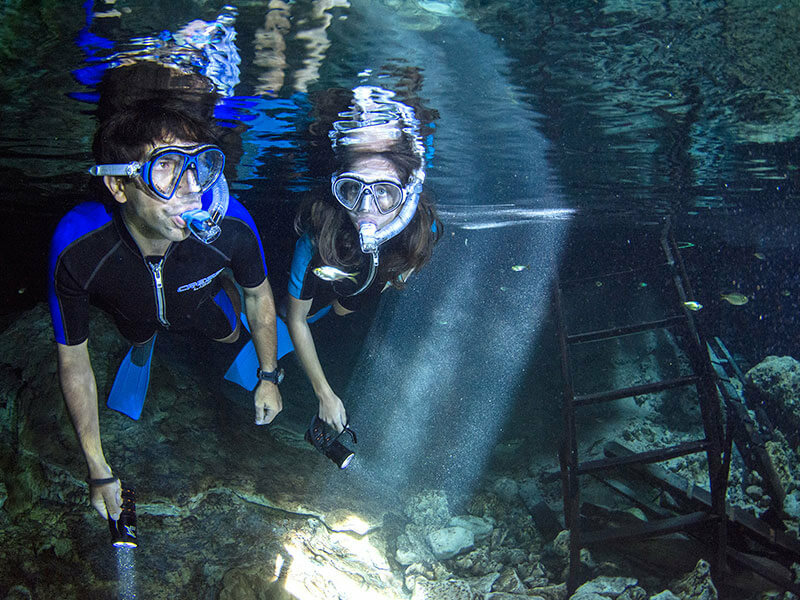 Like a real National Geographic explorer, snorkel at an amazing underground river system of the peninsula of Yucatan. On this tour you will visit two of the most beautiful Cenotes of the Mayan Riviera (Tak Bi Ha and Cenote Dos Palmas). While in Cenote Tak Be Ha, make sure to take your time as this underwater cavern was formed thousand of years ago and possesses an unearthly beauty. It is located approximately thirty minutes from Playa del Carmen and 15 minutes from Tulum. You will be able to start admiring the rock formations even before jumping into the water as the entrance is already full of them. Once inside the cavern, we will descend into the ringed cave chamber that remains a geological wonder. The clystar-clear water will not get in your way to admire the gorgeous limestone formations of stalactites. Cenote Dos Palmas is a semi-open cenote decorated with speleothems inside its shallow caverns where you can also snorkel and swim among its waters to admire fish and freshwater turtles. Its waters are blue, transparent and shallow perfect for the little ones to have fun. It a one life experience, don’t miss it. 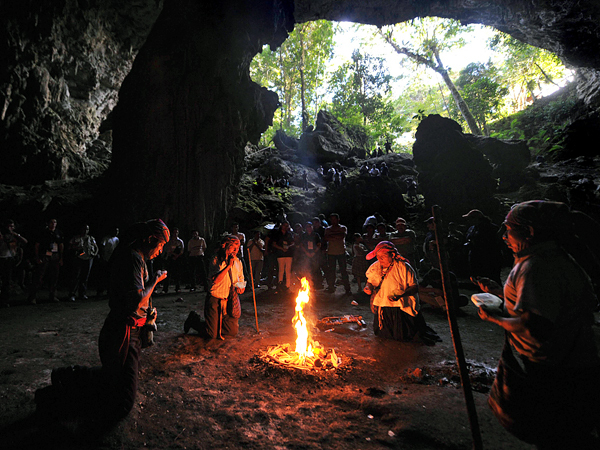 Come and meet other aspect of our Mayan Civilization. This culture, found in Meliponas native bees a source of energy, food, medicine and rituals. Promote Suistainable tourism, Visit the lagoon of the community and safely interact, inside a cage, with Moreletti crocodiles in their own wonderful natural habitat.